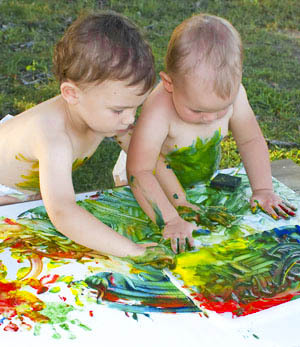 Finger painting is just that…painting with the fingers…and kids love it! 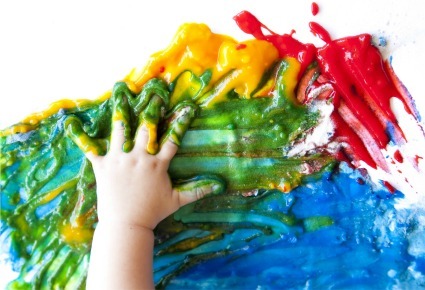 Using thick color also reduces the mess from splashing little hands. See more paint clean up tips here. There’s a wide variety of paper available at discount stores and craft supply outlets, so it’s easy to experiment with different types of paper. Try watercolour paper – for a rougher texture, blotting paper or even heavier scrapbooking paper or card stock.